Fusion Maia is the kind of place where smiling men hand you free pots of cookies and cream ice cream as you lazily snooze on the beach. It is the kind of place where you can eat breakfast at any time, any place and – perhaps most importantly – it is one of the only places in the world where all your spa treatments are free, or included in the price should I say. Yes you heard me correctly. I stayed at an all-inclusive spa. As we walked down the long driveway covered in greenery and bamboo shrubbery, we instantly felt a little bit calmer. 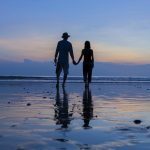 As we stepped inside the airy reception area, we were warmly welcomed (by a very charming man who we kind of wanted to invite for dinner), and as we stepped into our private pool villa, we instantly knew we never wanted to leave. Every villa here has a private pool, perfect for late night plunges after a gin or three. And just look at that beautifully smart decor in the rooms – soft creams and minimalist lines with the softest bed sheets you’ll ever cover yourself in. But then we had breakfast and suddenly I was not just in Paradise. I was floating in the clouds, perched on a golden, pastry encrusted throne wearing a crown of tropical fruit. It was magical. A huge buffet area was centre-piece of the gorgeous lantern-adorned dining room, where chefs performed their magic on eggs and waffles and what-not, and where guests shuffled around in trance-like food comas. And then came the eggs benedict; a proud display of perfectly runny eggs on a thick chunk of smoked ham, alongside Kate’s spinach soufflé with salmon. But if you’re mentally racking up all the calories in my ‘best hotel breakfast ever’ (yes Fusion Maia wins the title), fret not. Because I was booked into the ‘super slimmer’ hip and stomach massage to ‘tone up’ before lunch. See, there’s really nothing they haven’t thought of. PS A pool-villa at Fusion Maia starts from about £250 a night – for more details click here. 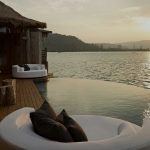 If you would like me to help organise your stay at Fusion Maia Da Nang as part of your holiday in Vietnam, then please do take a peek at my travel agency page or contact me on here. Fusion Maia is on the beach in Da Nang and is just 30 minutes away from the centre of Hoi An (the resort runs shuttle buses to and from town throughout the day). 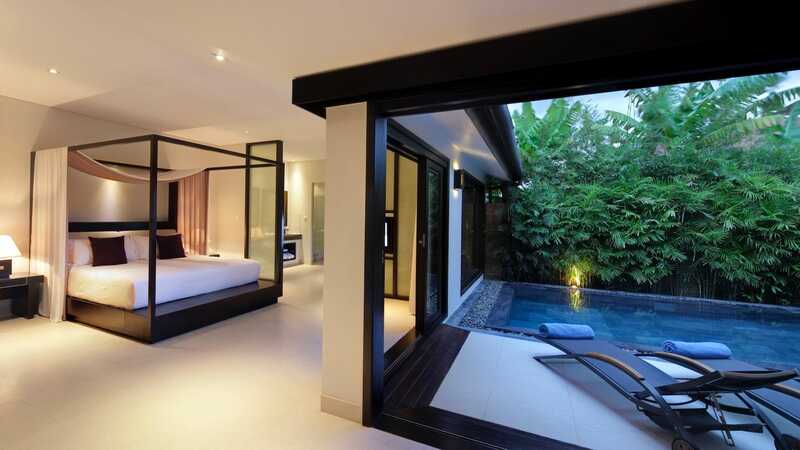 The resort has one, two and three bed villas, which radiate a chic minimalist, calming ambience.